The suspended AAP leader from east Delhi sought the blessings of Arvind Kejriwal before he filed a complaint against the Chief Minister. 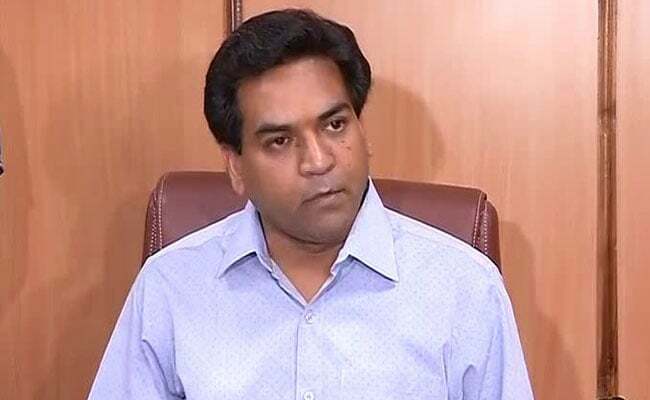 Suspended AAP leader Kapil Mishra said he will file a complaint against Arvind Kejriwal. New Delhi: Suspended AAP leader Kapil Mishra read out his open letter to Arvind Kejriwal. Mr Mishra addressed the media before he goes to the office of the Central Bureau of Investigation or CBI. Mr Mishra said he is going to file a complaint against Mr Kejriwal. He said he seeks the blessings of the Chief Minister in his fight against corruption. Mr Mishra had accused Delhi Health Minister Satyendar Jain of paying 2 crore in cash to Mr Kejriwal. "I am going to file FIR against Arvind Kejriwal." "You only taught me to fight against graft. It's impossible to stay silent." "I am writing this letter to seek his blessing." "I am going to file FIR against those who have stood against corruption." "I am alone in this fight." "I seek his blessings and apology." "I have known AK for 15 years. I know every step that he takes." "I have given proof to ACB(Anti Corruption Branch) about the corruption." "(Arvind) Kejriwal and his team want me to divulge what proof I have in front of the media. But let me make it clear. I will not do so. I will give all the evidence straight to the CBI." "I openly challenge Arvind Kejriwal to stand in an election against me." "From fighting corruption together, I now have to fight him because he is also corrupt."